In April and May of 2019, we are hosting our inaugural Decelerator program—you can learn more about our first cohort of Strange HQ residents here. The next Decelerator program will be offered in Fall of 2019. Beyond our Declerator program, we encourage creative practitioners and collaborative groups to explore the option of renting one or more of the spaces at Strange HQ for a self-directed retreat. We are open to giving artists and mission-aligned organizations special rates—learn more about the Strange HQ accommodations and rates here, and reach out to [email protected] for inquiries about availability and special pricing. 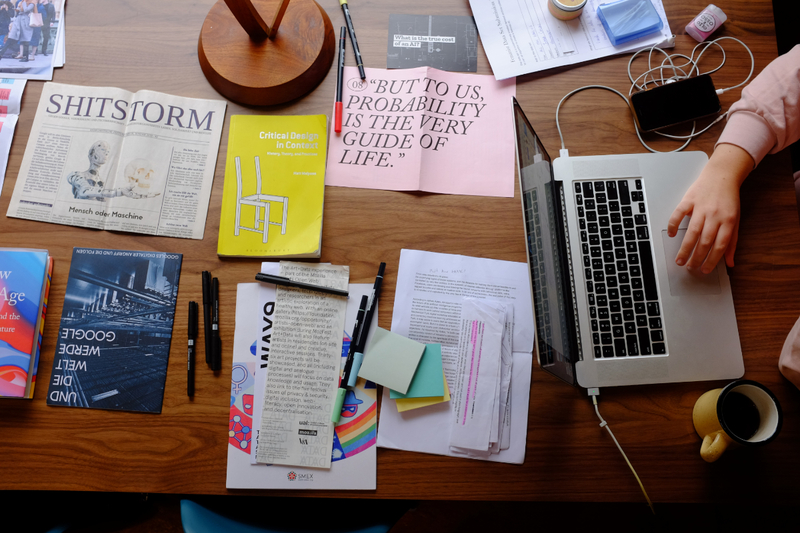 Caroline Sinders, a past Strange HQ resident, works on an essay and a long-term research project inside the Studio House. 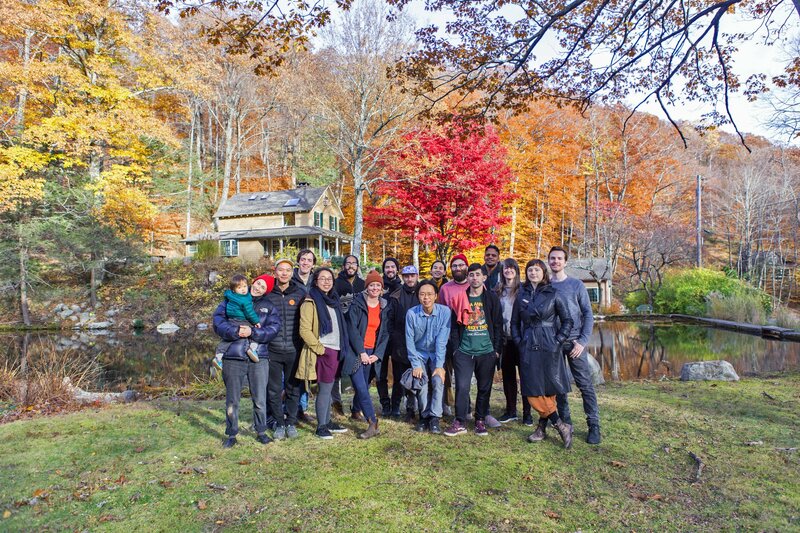 Teachers from the School for Poetic Computation pose by the pond after a group retreat at Strange HQ in the fall of 2018.